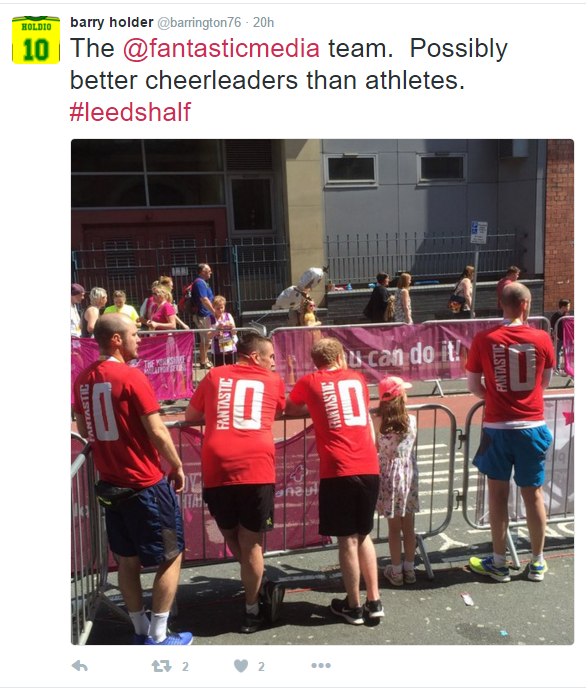 Top 10 (slightly biased) online posts about The Leeds Half Marathon. 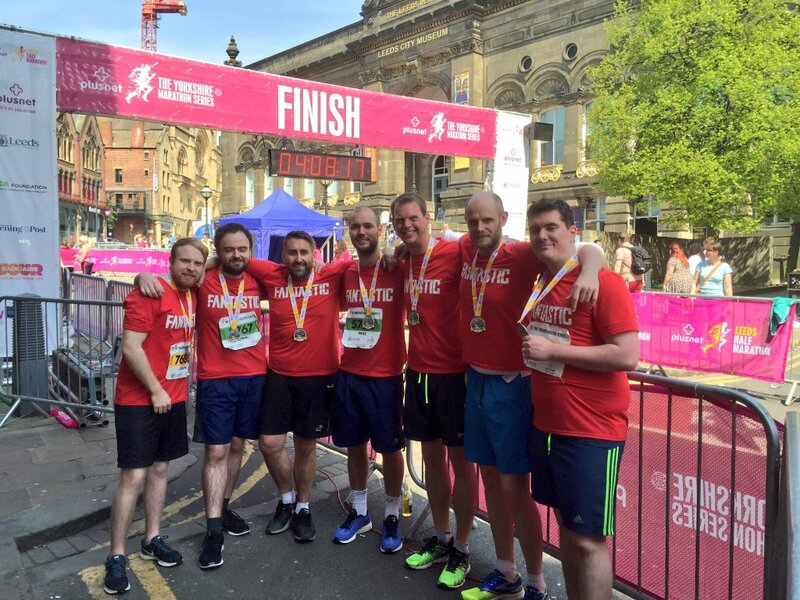 On Sunday May 8th, Fantastic Media’s team of runners took to the streets of Leeds to take part in the PlusNet Leeds Half Marathon. Below are 10 of the best online posts and articles about the event. 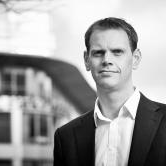 1) Smashing our fund raising target. The main reason for taking part was to try and raise some money for one of the charities being supported by Andrew Gale’s benefit year. 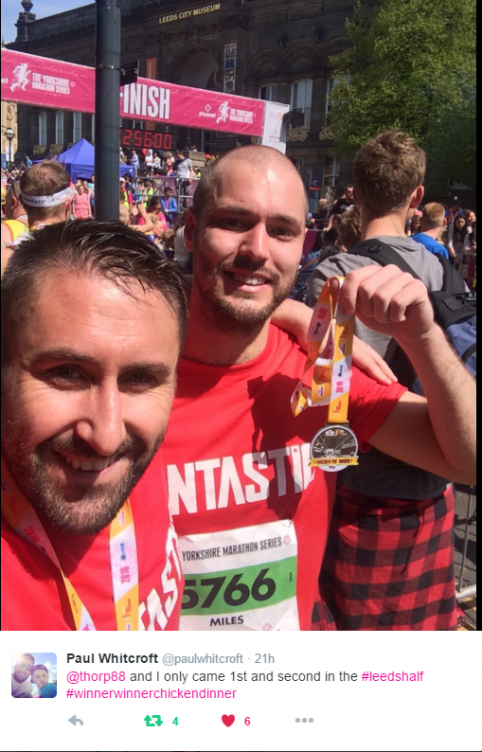 We’re pleased to say that we smashed our target, but any more donations would be very gratefully received. 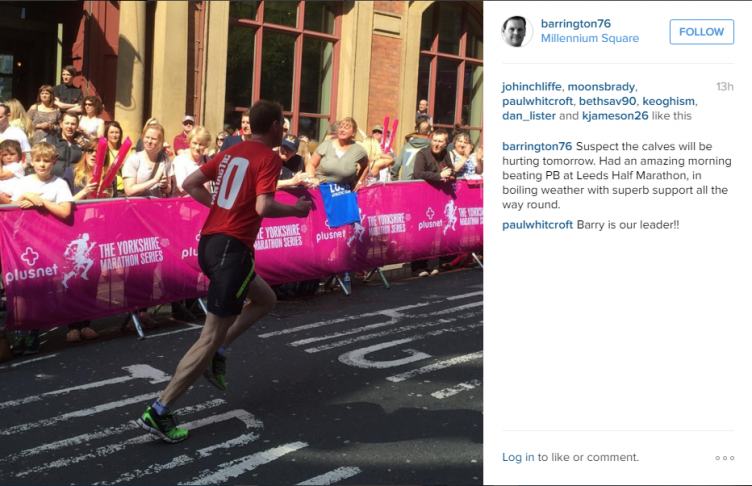 Stephen Lubbock did a great job finishing, but thankfully for the world of web design, we’re not convinced this is the start of a full time marathon running career. The weather was very hot so naturally it was very important to take on plenty of fluids after the event. The crowds throughout the route kept us going, and seeing team mates supporting us up the finishing straight kept everyone going. We found the key to keeping motivated through the months (or in some cases minutes) of training in the build up was a healthy degree of banter. 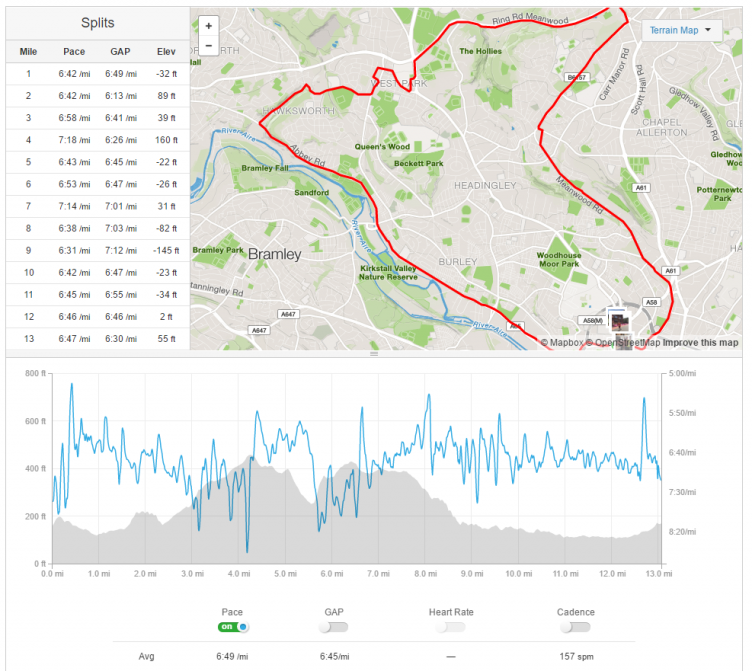 I use a Garmin GPS watch which links through my phone to Strava which allows me to analyse my runs, see where I struggled for pace, look at the profile of the course and see how I performed against other Strava athletes. We had a great team spirit before, during and after the race which ultimately made it all worthwhile. The feeling of achievement is magnified hugely when you know your doing something like this with your mates! 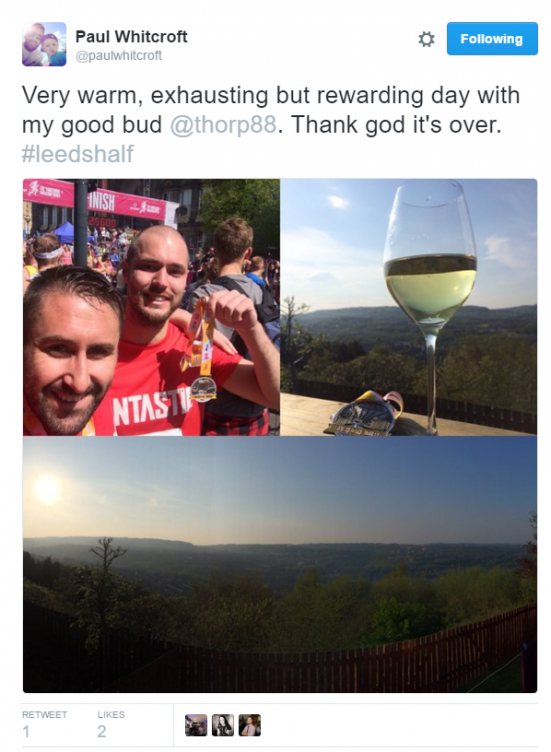 The 13.1 miles of a Half Marathon can feel like 10 times that when you get towards the end, but to get anywhere near the time you want you really have to leave it all out there on the road. My legs were in bits once I crossed the finish line, but somehow I managed to keep moving and pushing on up the hill to the end. As this Instagram shows though my calves bore the brunt of this. The great thing about these events is getting your result sent through to you right away. Not only that but you can actually break down position by gender, age category as well.